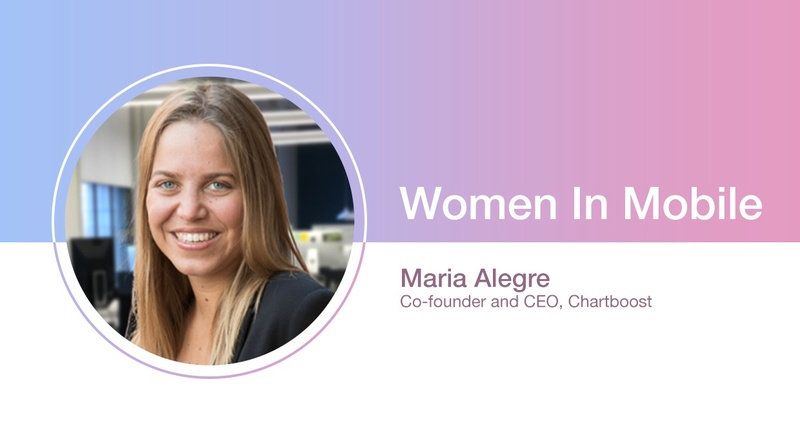 My name is Maria Alegre and I’m the co-founder and CEO of Chartboost. I’m originally from Barcelona and I came to Silicon Valley in 2008 to learn about technology and world-changing leadership, with the dream of eventually starting a company. Silicon Valley and its people still inspire me today to set high goals and work hard to achieve big dreams. What drove you to start your own company? I always knew I wanted to start a company. At 18, I knew that it needed to be a tech company because tech companies have incredible leverage to transform entire industries and change the world. I moved to Silicon Valley with that in mind. When Disney acquired the startup that my co-founder and I worked at, we had a huge realization: we were in a unique era for mobile apps, we had more experience than most of the people we knew, and we saw huge industry problems that we knew how to fix. So we started Chartboost to empower other developers like us to build successful businesses with their apps. Leading a team is the biggest constant challenge, one that evolves year after year and also the most important challenge to get right. The first driver is programmatic; both the buying and the selling are being transformed and improved by smart technologies that are better at identifying and reaching the right audiences at the right prices at scale. This is a huge change for buyers, which enables them to become smarter and more efficient with their strategies and budgets. The second driver is a change in supply dynamics for in-app. The principles of header bidding on the web are becoming a must for mobile app developers. Soon they’ll demand full transparency in the auctions and a system to let the best performer win, so they can consistently get the best monetization. The new dynamics of supply will replace the opaqueness and inefficiencies that dominate the ecosystem right now and will meaningfully improve how much money developers can make with their apps. Having built a team that will lead the next transformation of the mobile in-app ecosystem. I’m proud of the team we are today and excited about what we can accomplish together going forward. What advice would you give to recent new entrants? To new entrepreneurs: choose an industry you are passionate about and get ready to dedicate the next decade to achieving your goals. Big things take time. What keeps you busy outside work? I love traveling and discovering new places. A couple of times a year we travel for a full week, and sometimes we go for long weekends. My husband and I are recently adjusting the trip formats to be compatible with toddlers, but that doesn’t stop us from getting on planes, boats, and trains. Name the top three apps you use daily. As a female business leader and a family person, how do you balance your work commitments with your family life? I’ve built a great team and I work with them. I focus my time, energy, and dedication on the areas where I can add the most value or enjoy the most — both at work and at home. I have 44 first cousins. I come from a huge family that is very close, loves to celebrate together, and shares their lives. Every day they are a wonderful school and an inspiration.